Newspaper on walls is not a bad idea at all. Have you ever wonder how newspaper can be use in other ways other than for reading purposes. 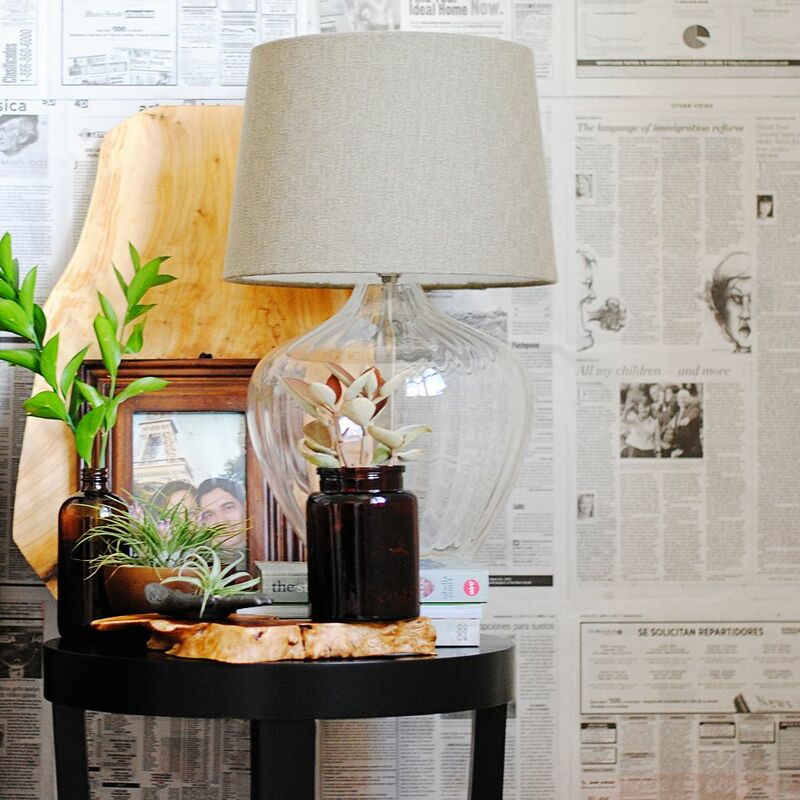 Well, while doing the Instagram challenge called 7vignettes (by Interiors Addict), I use newspaper on the back of the photo as an accent wall. Crazy, you might be thinking; well not at all. I turned out pretty nice and the best thing is that it cost nothing compare to wall paper (beside doing a good thing by recycling). 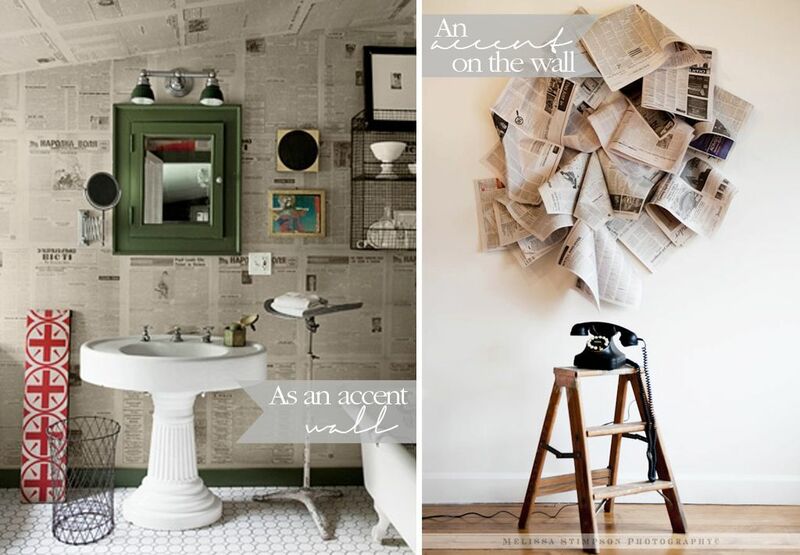 Here are other cool examples on using newspaper on walls. Used as the backdrop on the bathroom at the left (Photo by: Dana Gallagher), the newspaper on the wall adds a vintage look to this small but cute space. 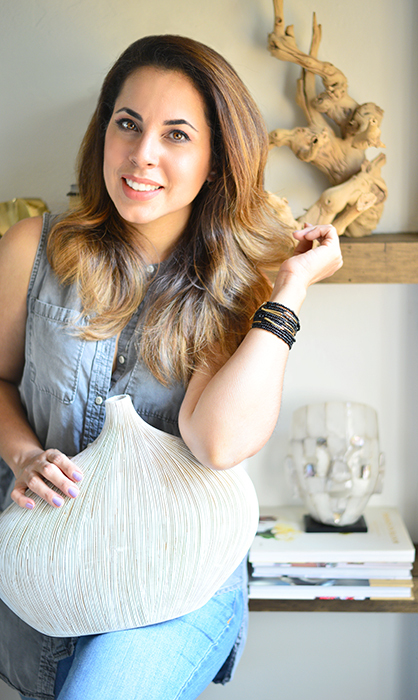 On the photo at the right (Photo by: Melissa Stimpson) the abstract piece of art on the wall is a great idea to make a statement. Me encanta!!! Te aseguro que haré algún collage con el papel de periódico. besos ..
Hola Silvia! Que bonito verte por aqui. Me parece genial tu idea y si no te molesta, una vez la termines me gustaría que me dejaras saber para compartirla en el Facebook (claro, con un link a tu página)! Un abrazo fuerte y que tengas excelente día!! !